Brought up away from traditional orcish society in the forests of the Land of the Linnorm Kings, this week’s character is an orc who does not follow traditional orcish norms. Still stronger than many humans he is weaker than even an average orc. He is still tough but in comparison he smarter and more socially adept than most of his kin. 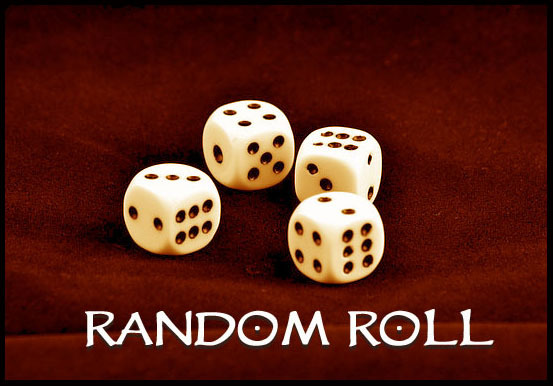 A follower of the goddess deductions, mind reading, and subtlety we have a lot to work with for this week’s character. Influential Associate: [The Lover] You had a romantic connection in your adolescent years, and this person deeply influenced your personality. Perhaps this was a first love, a casual partner you grew close to, or the one who got away. The experience bolstered your confidence in romantic interactions even though you often find your thoughts still straying toward that special someone from so long ago. Drawback: [The Past] You long for the world to return to a past age. You’ve adopted the manners and style of this age, and are fascinated by its customs, relics, and artifacts, and by the historical figures of that time. Perhaps you live so much in this past age that your connection to the present is tenuous. Or your pretentiousness annoys others. In the comments tell us this orcs story? What class would he most likely become? Why did his family live in such an unusual place? Who were his bullies? How did he come to worship a Erecura? And don’t forget to stay tuned Friday when my background hits the CRB.